Condiment made of sliced white truffle ( Tuber Magnatum Pico ) preserved in oil. COLOR: Hazel nut in the colour, truffle slices of various sizes. INGREDIENTS: White truffle ( Tuber magnatum Pico ) 50%, water, salt. USEFULL INFORMATIONS: Ready to use. Avoid overheating lest the truffle aroma will fade. Use a condiment for first pasta courses: pasta and rice; meats, eggs and warm crostini. 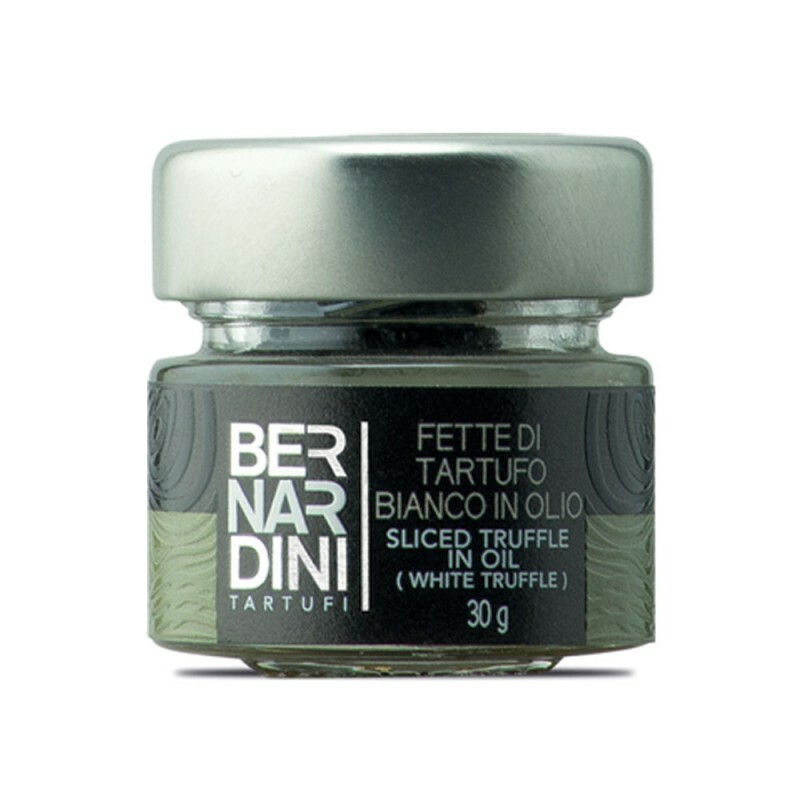 TASTE: Delicate and balanced flavor, typical of white truffle.